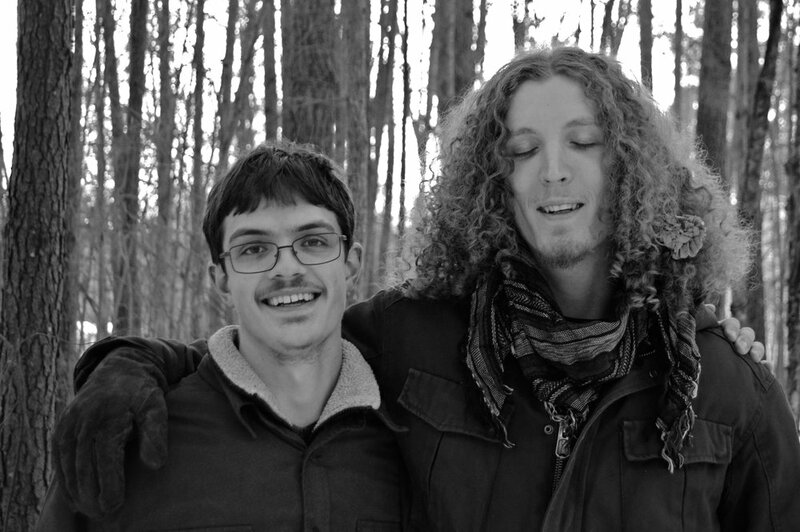 The Oblations are a two-man Blues/Funk/Rock band from the triangle area of North Carolina. Joe MacPhail's setup is comprised of drums and keyboard, which he performs on simultaneously with all four limbs. Daniel Fields plays slide and electric guitars with a host of a effects pedals, including customized pickups that allow him to perform bass and guitar at the same time. They both sing. As a two-piece, they reproduce the sound of a quartet or quintet while entirely avoiding the use of pre-recorded tracks or loops. This unique setup expands the boundaries of live instrumental performance through a combination of modern technology, physicality, and musicality. With over a decade of experience playing together in various projects, The Oblations share a unique musical telepathy, and invite you to join them on a funky, textural, and personal journey informed by the last century of of American music. Their live shows are a unique mix of songcraft, groove, and deft improvisations. The Oblations pride themselves on meeting the needs of any environment, and for any audience. The Oblations are inspired by the artistic visions of Jimi Hendrix, John Coltrane, Hiatus Kaiyote, Tedeschi Trucks Band, Taj Mahal, and J Dilla. The Oblations blend a dedication to instrumental expressiveness with a love of strong songcraft. Their songs owe as much to Bob Dylan or John Hiatt as they do to D'Angelo or Erykah Badu. Live, they supplement their original material with cover songs by Howlin' Wolf, The Meters, Sly Stone, and Outkast. The Oblations channel their influences through their own life experience, creating a visceral, funky, and euphoric sound that is sure to leave an impression. The Oblations are products of the modern era, and as a result their music is an amalgamation of genre. For breweries, dinner venues and concert series that want a more quiet, elegant sound, the Oblations also perform as a keyboards & guitar duo. This configuration leans heavier on Blues, Jazz, Folk, Classical, and World influences. The result is a lush rendering of their songbook. The Oblations are enormous fans of their three-piece horn section, The Dino Horns. The horn section consists of Esteban Gonzalez (left, Trumpet/Flugelhorn), Danny Abrams (Baritone and Alto Saxophones), Danny Grewen (Trombone). The horn section are members of groups as wide-ranging as Ellis Dyson & The Shambles, Katharine Whalen and Caique Vidal & Batuque. Capable of improvising complete three-part horn lines on the spot, the Dino Horns are a visual and auditory delight that augments the expressiveness of The Oblations and takes the group to higher heights. The full Oblations/Dino Horns configuration have a Monthly Residency at 2nd Wind in Carrboro NC, are regular performers at the Cats Cradle Backroom, and always bring a generous helping of positive energy to a room. This configuration has the most energy, raw musicality, and power of any of the live setups. It is perfect for Festivals, Concerts, and Public Events.